What is the Japan Rail Pass (JR Pass)? The Japan Rail Pass (JR Pass) is a ticket offered to foreigners that allows you to ride the public transit systems owned and operated by the Japan Railway Company an unlimited number of times for a flat fee. There are different types of JR Passes available for purchase depending on the duration of your stay in Japan. But, is the JR Pass worth it? Is buying the JR Pass cheaper than paying for train tickets individually or finding an alternate form of transportation? Let’s take a look at some example Japan itineraries as well as the benefits of the JR Pass to see if it’s really worth the money! Is the JR Pass Green Car Worth It? Who is Eligible to Purchase a Japan Rail Pass? 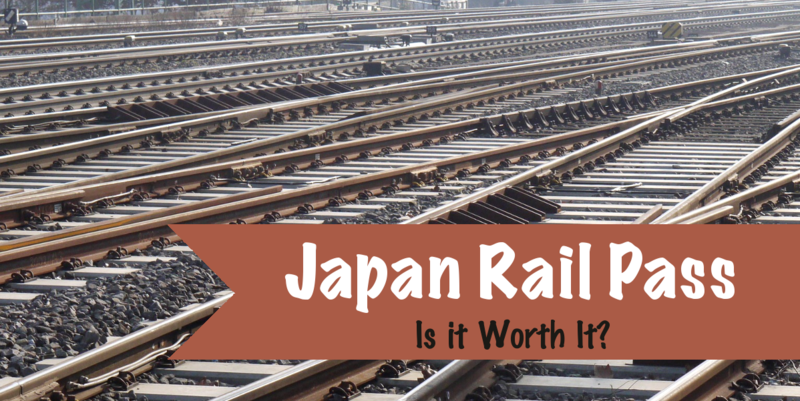 How Do I Purchase a Japan Rail Pass? How Do I Use the Japan Rail Pass? Children between 6 and 11 years old receive a 50% discount. NOTE: Regional passes for the JR-Hokkaido, JR-Central, JR-East, JR-West, and JR-Kyushu are also available for purchase for various lengths and prices as well as local passes such as the Hakone FreePass. In MOST cases, the answer to this question will be yes, the JR Pass is most definitely worth it. Of course, trips to Japan can vary, and there are some scenarios where you wouldn’t get the most for your money, so it pays to do a little bit of research first. A roundtrip Shinkansen (bullet train) ticket from Tokyo to Osaka costs ¥28,900. This is almost the price of the 7 day JR Pass, and chances are, you are going to ride the train more than once. A round trip Shinkansen ticket from Tokyo to Hiroshima is ¥38,160, which is almost the price of 7 day first class JR Pass. 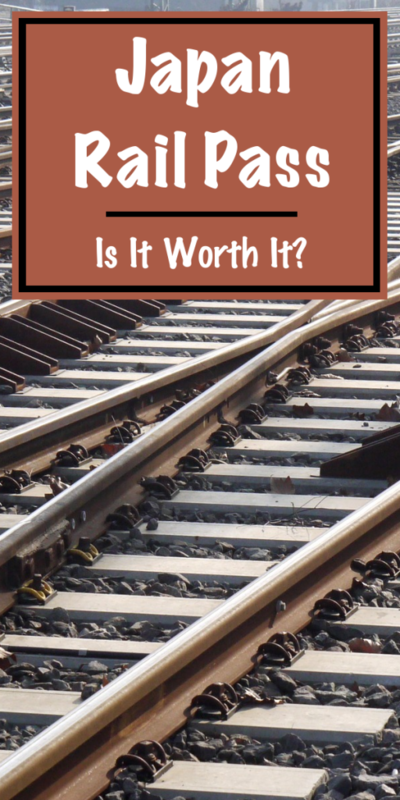 Trying to figure out if the JR Pass is worth it for your trip? Check out the below example itineraries! This is one of the few scenarios where the JR Pass may not be worth the money. If you’ve been to Japan before and don’t plan on visiting ALL the major cities, or if you are more of a slow-pace traveler, you may not take the train as frequently or as far as other travelers. Personally, I’m a big fan of Nikko and Sendai, both of which make great day trips from Tokyo. A roundtrip Shinkansen ticket from Tokyo to Sendai costs ¥21,780, and the easiest way to get around Sendai is by bus, so chances are, you wouldn’t use your JR Pass for much more than the bullet train ride. Similarly, a roundtrip ride from Tokyo to Nikko would be about ¥3,400, and most of the best things to do in Nikko are within walking distance, so you wouldn’t have any additional train rides. Even if you spend a few days in Tokyo and visit both Sendai and Nikko, the total amount spent on train rides would be around ¥26,000, which is less than the 7 day JR Pass. In this particular case, you may get more benefit out of getting a 24, 48, or 72 hour Tokyo Subway Ticket. Tokyo, Kyoto, and Hiroshima have some of the top rated tourist attractions and are popular destinations for first-time visitors to Japan. Visiting these three cities in 7 days makes for a jam packed itinerary, but isn’t uncommon for people trying to experience the most of Japan in a short period of time. 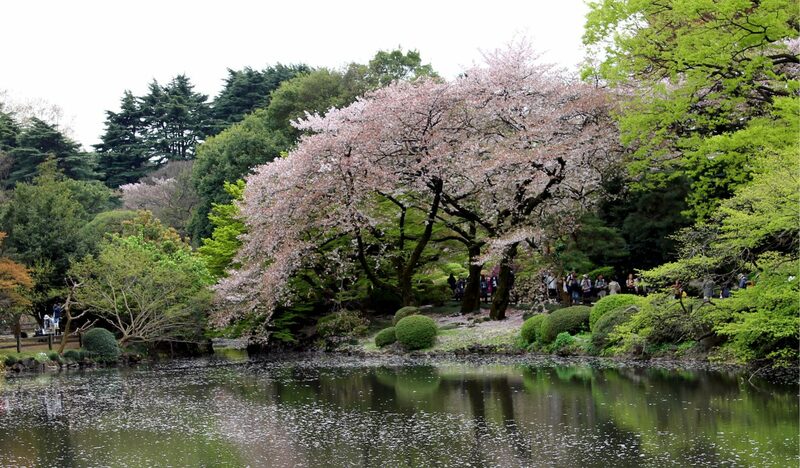 In this example itinerary, you may spend 2 or 3 days in Tokyo, exploring the various parts of the city like Shinjuku, Shibuya, Harajuku, and more. Most people get between these districts by train, specifically the JR Yamanote line, which costs ¥140 per ride. After you’ve had your fill of Tokyo, you may head to Kyoto, known for its “traditional Japan” feel. 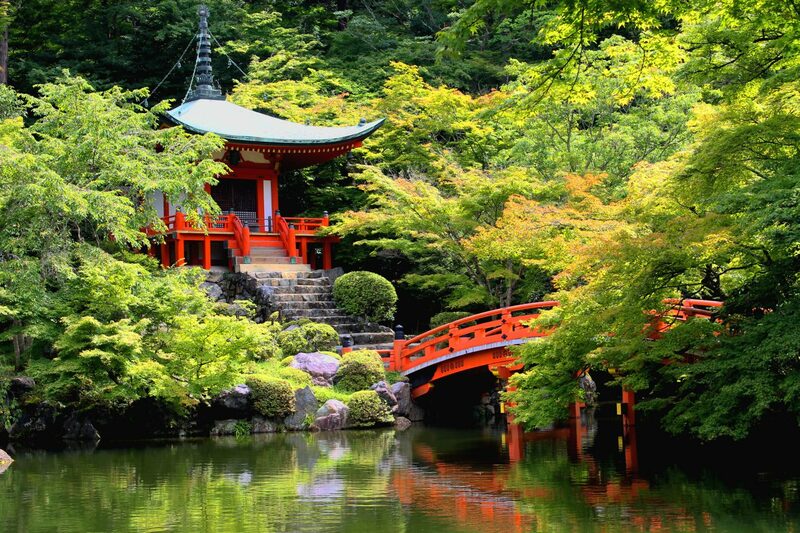 A one-way ticket from Tokyo to Kyoto is about ¥13,910. The JR Sagano and JR Nara rail lines can get you to popular destinations in Kyoto such as Fushimi Inari and Arashiyama. Prices of these rail lines vary by how far you go, but in general a ride will probably cost between ¥140 and ¥370. Regardless of whether you head back to Tokyo (another ¥13,910 ticket) or continue onto Hiroshima (tickets from Kyoto to Hiroshima are ¥11,410 and a ticket from Hiroshima back to Tokyo is ¥22,180), you’ve spent the same or more as you would spend if you bought the 7 day JR Pass. Not to mention that this itinerary doesn’t account for getting to and from the airport or lodging. In this case, the JR Pass is definitely worth it. If you have closer to 2 weeks in Japan, many people will start adding more destinations to their itinerary, such as Osaka and Mount Fuji. Adding Osaka to the above mentioned Tokyo, Kyoto, Hiroshima itinerary wouldn’t be much of an additional cost, as it is not too far from Kyoto. Mount Fuji is a little more out of the way, but isn’t too far from Tokyo. Instead of heading straight from Tokyo to Kyoto, many people might visit Mount Fuji after Tokyo. Getting from Tokyo to Mount Fuji might involve a rail line transfer or two, but will likely cost around ¥3,910 one-way. Unfortunately, there isn’t an easy way to get from Mount Fuji to Kyoto, so chances are you would have to head back to Tokyo (another ¥3,910) before heading off to Kyoto (a ¥13,910 ticket). Getting to Osaka from Kyoto is simple in comparison to some of the other routes mentioned in this article, and its something a lot of people in Japan do every day. You don’t even have to ride the bullet train. The JR Tokaido-Sanyo Line can get you there in half an hour for ¥560. After spending a day or two in Osaka, it’s off to Hiroshima on the bullet train again for ¥10,440. Here, many people will check out the Hiroshima Peace Memorial Park, but they’ll also catch the nearby ferry to Miyajima in order to visit Itsukushima Shrine. This ferry is also operated by the Japan Railway Company, meaning that it would be covered by the JR Pass. Otherwise, it costs ¥410 for a one-way ticket. At the end of your adventures, you’ll have to head back to Tokyo for your flight, and the bullet train from Hiroshima to Tokyo is a whopping ¥22,180. Considering that the 14 day Japan Rail Pass cost is ¥46,390, you would definitely be saving some money. Personally, I’m more of a “whirlwind traveler.” I try to see as much as I possibly can with the little time I’m at a particular destination. In many cases, I leave my hotel room at 8AM and don’t return until 10AM. I also rarely spend more than just a few days in a particular city. To some it may seem like a lot, but 15 cities in 21 days wouldn’t be uncommon for me. The above mentioned itinerary would cost ¥55,730 without the JR Pass, and that was just for 5 cities. Adding in a few other cities such as Sendai, Nikko, Hakone, Nagoya, Okayama, and more would easily add another ¥4,000 to make the 21 day JR Pass worth it (the ticket just from Tokyo to Sendai would add ¥10,890). The green car is basically the “first class” section of the bullet train (and some express trains). The seats are bigger, you have more leg room, and some of them offer snacks and built in radios. Plus, they also tend to be quieter than the standard cars. Personally though, I don’t feel like these added benefits justify the difference in price. Plus, you have to reserve seats in the green cars. It’s no additional cost to reserve them, but you must reserve them in order to sit in them, and yes, they do check. If you miss your train, your reservation goes with it. Unless you are a luxury traveler looking for maximum comfort, I’d pass on the green car and just get a standard JR Pass. The biggest perk of the JR Pass is the ability to ride the bullet train at no extra cost, because the bullet train is expensive! However, the JR Pass gives you access to more than just the bullet train. With the JR Pass, you can ride any form of transportation managed by the Japan Railway (JR) company. This includes regular train lines, buses, and even some ferries. Chances are, you’ll find that you can get to a majority of your destinations with only JR transportation. The above mentioned itineraries all mention the Shinkansen (bullet train), but the alternative to the Shinkansen would be to take a bus. There are bus companies that go between many of the major cities for MUCH cheaper. I typically used the Willer Express bus company during my study abroad in Japan (since I was there on a student visa, I wasn’t eligible for the JR pass). With the Willer Express, I was able to get roundtrip tickets from Tokyo to Sendai for around ¥9,800. That’s cheaper than a one-way ticket from Tokyo to Sendai by Shinkansen. So, if I was able to ride the bus for so much cheaper than the bullet train, why not just take the bus everywhere? Why do I still think the JR Pass is worth it? It’s not called the bullet train for nothing. In the above example, I mentioned how much cheaper it is to get to Sendai from Tokyo by bus. However, the bus ride from Tokyo to Sendai takes about 7 hours (including the stops they make). The bullet train takes about 2 hours. If your time in Japan is limited, that 5 hour difference is a big deal. Due to the length of the bus rides, I usually took the night bus. This way, I wasn’t using valuable daylight time for transportation. The bus would leave Tokyo at night and arrive at my destination in the early morning. However, let me tell you, those buses are not easy to sleep on. On the bus ride back to Tokyo from Sendai, I didn’t get a single wink of sleep. Not a one. I was supposed to leave for the next leg of my trip the day I got back (I was heading to Nagoya), and ended up pushing my trip back a day so I could relax and recover. 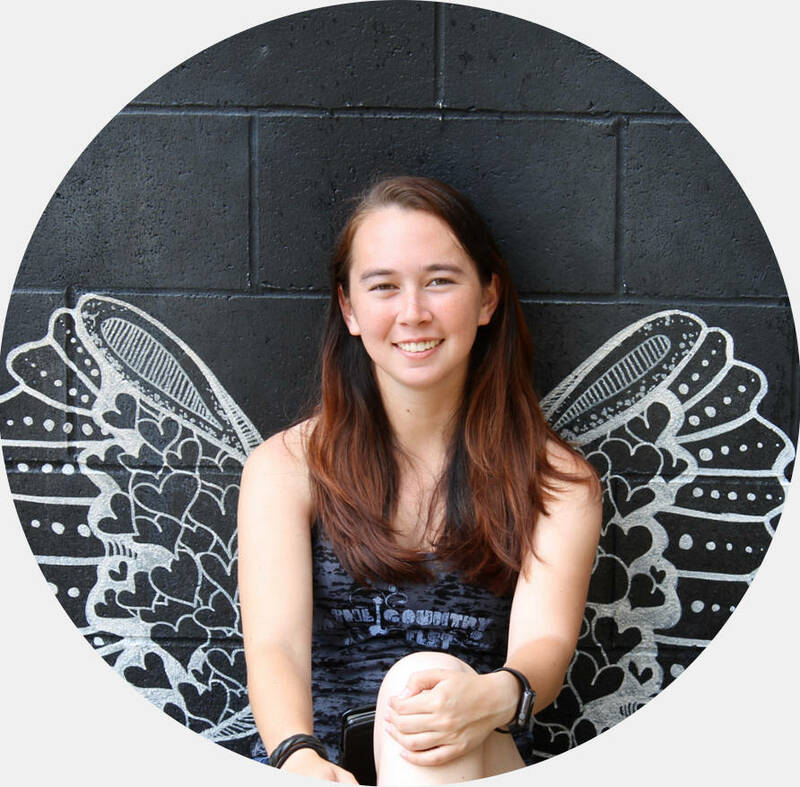 I was in Japan for four months, so for me, pushing my plans back a day wasn’t a big deal. However, if you only plan on being in Japan for a week or two, something like this could be detrimental to your itinerary. The big buses that I’ve been talking about usually only go between major cities. The Willer Express goes to 28 different destinations, which may sound like a lot, but it severely pales in comparison to the Japan Rail Pass map. If you are planning on going to some of the more off the beaten path destinations, chances are, a bus will only get you so far. You’ll end up riding a train somewhere along the way (and it would undoubtedly involve a lot of transfers). The unfortunate thing about travel, at least when it comes to me, is that trips rarely every go exactly as planned. Sometimes it’s a good thing, other times not so much. If plans go awry, it’s nice to know that I don’t have to deal with canceling reserved bus seats and possibly finding new ones (and even worse, finding that there aren’t any open seats on short notice). With the JR Pass, I feel comfortable knowing that I can go pretty much anywhere at any time without major issue or incurring lots of extra expenses. The Japan Rail was designed for visitors to Japan. For this reason, the only people eligible to buy a Japan Rail Pass are those entering Japan on a tourist visa. In general, Japanese nationals as well as foreigners in Japan on a work or student visa are not eligible to purchase a JR Pass. Also, be aware that there other short term visas that exists but also do not qualify for the JR Pass. The Japan Rail is for tourists only! You typically want to purchase your JR Pass before arriving in Japan. Starting in March 2017, you can buy JR Passes in Japan at certain train stations and airports, but at significantly increased prices. You are better off ordering the JR Pass before you leave for Japan. Once you order your JR Pass, you will receive an “Exchange Order” or voucher in the mail (or you can have it shipped to your hotel in Japan). This voucher can be exchanged for the actual JR Pass in Japan at one of the JR Exchange Offices. You must have your passport for identification purposes in order to do the exchange. You can order your JR Pass voucher at any time, but the delivery date of your voucher must be within 3 months of your departure to Japan. This is because the exchange order is only valid for 3 months. Once you receive your JR Pass, you will be asked when you would like the pass to be activated (it doesn’t have to be the day of the exchange, but must be within the next 30 days). You will not be able to change the activation date, so choose the best activation date for your travel plans. Once activated, it will be good for duration you purchased (7, 14, or 21 days). The JR Pass works similar to IC Cards. You simply place the JR Pass on the scanner at the train gate or bus entrance. What do you think? Is the JR Pass worth it? Would you prefer to take the night bus to save money? Let me know in the comments below! I would have no issues paying for the Bullet Train versus bus Kiyoko. The NEED for speed is one reason LOL. But saving time and really, enjoying a genuine experience would be the chief reasons why I’d go this route. Also because seeing the Bullet Train in action is my fave scene from the Wolverine movie hahaha….super review here. I definitely could have used this post when I was planning my own trip! I NEED to go back and try out the bullet train! Wow! Thank you for such a comprehensive write up! Japan is at the top of my bucket list and I am a huge fan of train travel. It will come very handy for my trip planning. Great information! I’m hoping to take my mom on a trip to Japan next year and we’ll definitely be hopping around by trains, so these price comparisons are really useful! Since we are going to Japan in just a couple weeks, naturally, I am reading anything and everything I can find on the subject. Hence, good timing finding your article. Thank you very much for sharing. Too late for us, but still good to know. Also, I am compiling a list of resources about Japan and will put a link to your post there. Cheers! I love how you are super honest about this. I fully agree the Railpass is worth it if you want to see as much as possible. A tip to Nikko is a must but you’re right, you don’t necessarily need a pass for that. I chose Willer Express when I did a month in Japan a few years ago. Most of my travel was at night, so I had the added bonus of saving on accommodation. Also, the buses were comfortable and clean. Speed wasn’t a novelty since I was living in Korea with a high-speed train system. I would use Willer again. I definitely think Willer was a good alternative, but if I’d been eligible for the JR Pass, I’d probably have gone with that. I don’t mind taking a night bus for a night (maybe two), but I don’t think I could do more than that. I just need a good night’s sleep in a comfy bed!